My Autumn Winter 2014 Wishlist - Online Shopping India | The Shopaholic Diaries - Indian Fashion, Shopping and Lifestyle Blog ! Hope you all are doing well. This season we hardly saw any rains in this part of India (Delhi-NCR) which makes me wonder if there would be no monsoon at all in the coming years. Anyway, I hope it rains a bit before the onset of Autumn which is not far away. And talking about Fall made me realize that it's time that I started re-arranging my wardrobe for the new season. While going through my wardrobe I noticed that there are few items which I should invest in and shop for Autumn-Winter. And that's why I went to few of my favorite online shopping websites to see what they had in store for AW'2014. If you have followed my outfit posts, you must be knowing that I am a big fan of printed pants and they definitely rule my wardrobe. 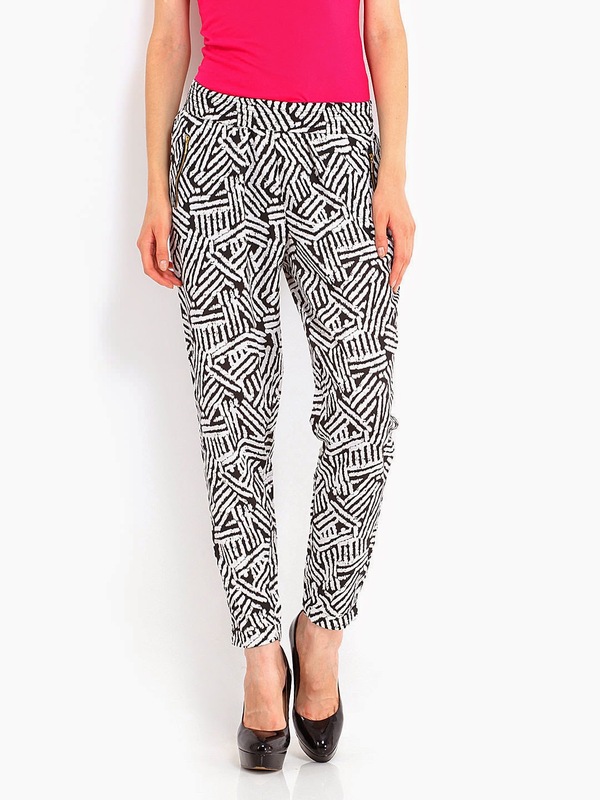 But one of my favorite printed pants which have a monochrome style have faded away and therefore I need a new pair. The above pair of printed pair is a perfect pick to style for a semi-formal occasion or to a casual day out with friends. I have always wanted to buy a Manish Arora outfit and while browsing outfits at Myntra, I found this fabulous tunic which not only would look good with leggings but also with a pair of fitted pants. I have this habit of buying a new bag every few months because frankly, every girl needs new, stylish bags to jazz up our looks. 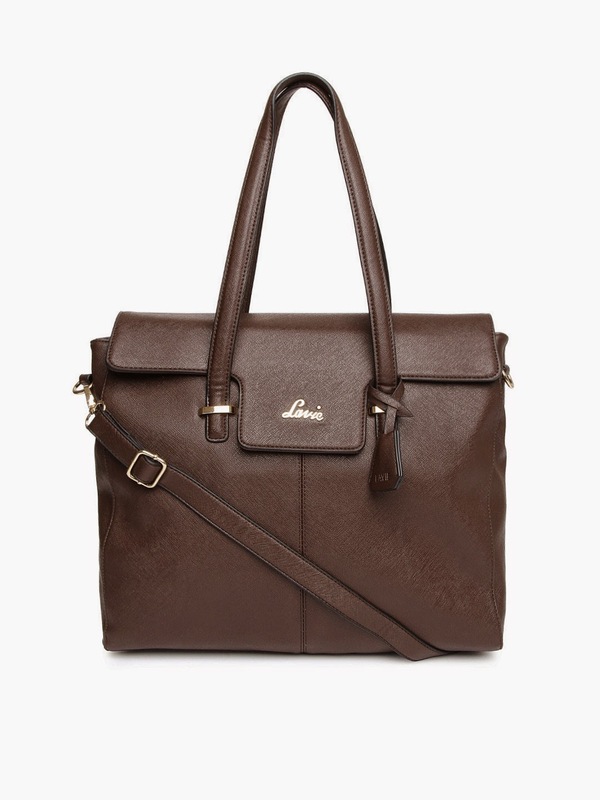 And I have decided to buy this smart satchel from LAVIE which has a classy look and is perfect to carry to work. While I own many dresses, my wardrobe lacks a Little White Dress which is a versatile option for Fall dressing. I can not only wear this dress with stockings but also layer it with a fitted overcoat in winters to keep myself cozy yet chic. I already own an orange blazer and this season I have my eyes set on this bright pink blazer which would not only go with dark colored pants but also nudes and whites. All these styles I picked from Myntra.com and guess what while going through this amazing Coupons website - CupoNation, I came across exciting discount coupons to shop at Myntra which have helped me save a good amount of money on my purchase of two of the items from this list which I will reveal shortly in a new post. So, if you are also planning to start shopping for your Fall-Winter wardrobe, make sure you check CupoNation first to get some exciting offers at your favorite online shopping portal. Superb wishlist babe. I totally loved the pants u rocked at the beach in Mumbai and would love to buy a similar pair!